Firstaid4sport have been successfully selling Mueller Sports Medicine products in the UK since 2001. Firstaid4sport have been successfully selling Mueller Sports Medicine products in the UK since 2001. Gerry Newlove first started the Firstaid4sport business in the 1990's and his son in law, Michael Davison has now taken over the business and Firstaid4Sport remains one of the leading providers in the UK of sports medicine products, supplying professional and amateur sports teams and medical professionals including physiotherapists and sports injury clinics. 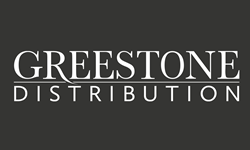 Firstaid4sport have recently created a new division called Greestone Distribution, which has been set up to exclusively sell Mueller products to the Sports Retail and Medical Wholesale trade channel in the UK.